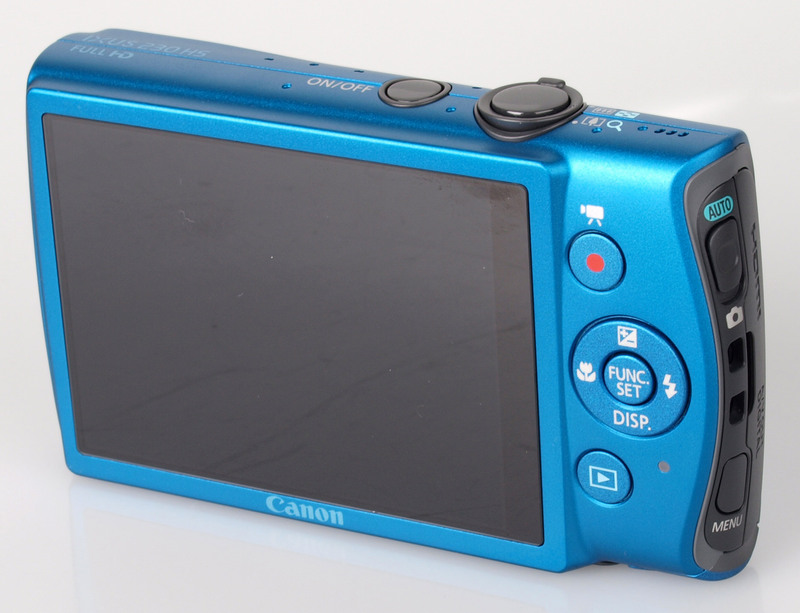 Daniel Bell reviews the Canon IXUS 230 HS, a compact digital camera with an 8x optical zoom lens and 12.1 megapixel sensor as well as a range of creative modes. 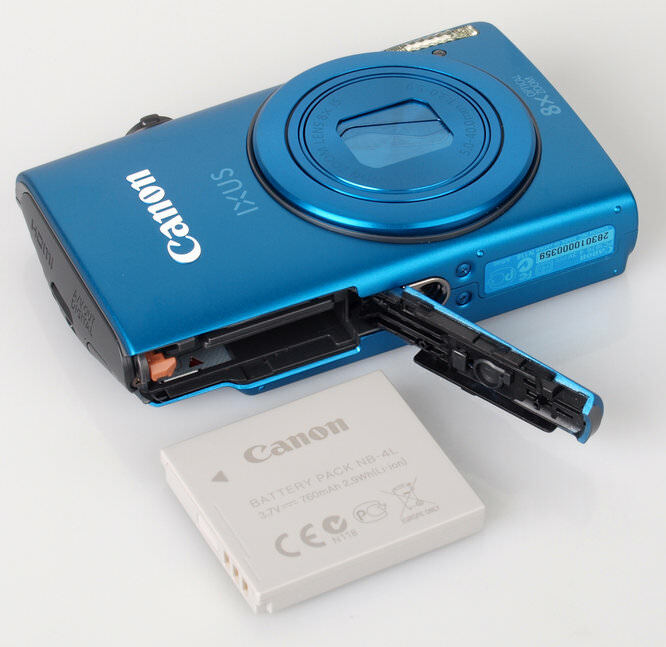 The Canon IXUS 230 HS was released in August 2011 and is a compact digital camera with an 8x optical zoom lens and a 12.1 megapixel sensor. The camera comes in six colours, green, purple, pink, blue, black and silver, with an RRP of £229.00. The 8x optical zoom lens is a 35mm equivalent of 28 - 224mm making it really easy to photograph wide landscapes or objects that are far into the distance. To help take sharp images the camera has Intelligent IS as well as the HS system which helps take pictures without the flash or a tripod. The camera has Smart Auto which detects the scene and automatically sets the camera from 32 variables (21 in movie). There are a couple of modes for shooting fast moving objects or slowing things down. High-speed burst allows the capture of 3 megapixel images at 8.7 fps and Super Slow Motion Movie can slow things down to an 1/8th of the speed. Like many Canon compacts, the IXUS 230 HS has a range of creative modes including Toy Camera, Miniature and Monochrome. 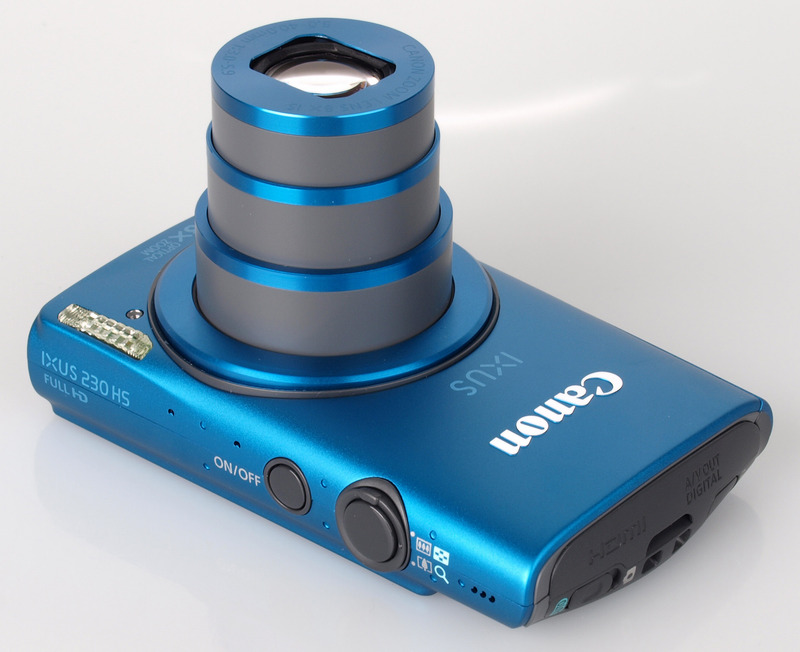 Videos can also be recorded in 1080p full HD with stereo sound and optical zoom. The optical image stabiliser will help you to keep your movies steady. Videos can be played back on a HD TV. Movie Digest will record up to 4 seconds before each shot and join them together to create a VGA movie. 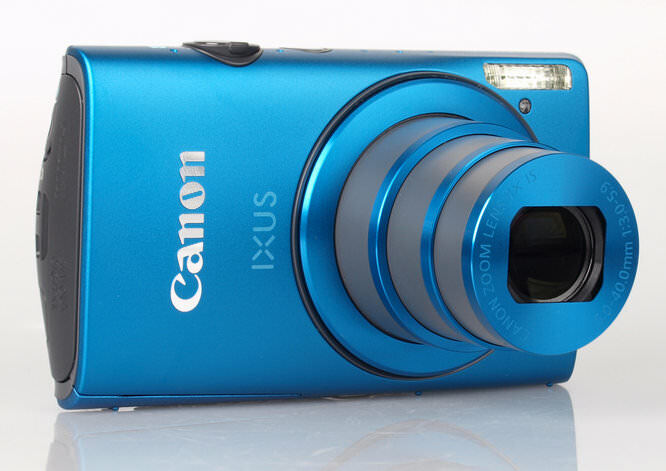 The IXUS 230 HS is a well-built camera with a small metal body, large 3 inch LCD screen with a tempered glass outer layer and centralised metal tripod socket. The screen is fantastic for viewing your photos on and is easy to see in varying lighting conditions. There aren't loads of buttons to be found on the camera, there is the power switch with the zoom-rocker surrounding the shutter release on the top of the camera with the D-Pad, playback and video records buttons on the rear. Unusually there are two buttons on the side of the camera, the menu button and the switch which puts the camera in auto mode. The camera has an easy to use menu system with good, clear explanations of all the settings. The battery as a CIPA rating of 210 shots which is good for a compact. It is ready to take pictures within a couple of seconds and is quick to focus. In testing the IXUS 230 HS was able to shoot full sized images at 2.3 fps in continuous shooting mode and 6.9 fps in high-speed burst mode, although image size is limited to 3 megapixels. The IXUS 230 HS takes well exposed images with good detail throughout, although it can be prone to some purple fringing in bright conditions. The camera takes superb macro images with a minimum focus distance of just 1cm. There is barely any noise visible at ISO 100 and when you go through the ISO range you can see noise becoming more prominent at each level but not by much. At ISO 200 images are still sharp with a little more noise than ISO 100. ISO 400 and ISO 800 images are a touch softer but noise isn't causing too much of a reduction in image quality. Again, at ISO 1600, you can see some extra noise and softening, but at ISO 3200 image quality does suffer and produces images which are best used for the web rather than large prints. Although there isn't a dedicated landscape mode, the camera is capable of a pleasant looking landscape image. Portraits have excellent skin tones but there is some red-eye present. If you switch to Super Slow Motion Movie the camera will take pictures with a fast shutter speed. The picture of the wind turbine was taken on an extremely windy day and a shutter speed of 1/1000 has allowed the camera to take a sharp picture. Generally white-balance is good, under the fluorescent lights the auto white-balance and fluorescent presets take an identical looking image. Under the incandescent lights the AWB preset leaves an orange tint to the image whereas the incandescent preset takes a much better picture. Below are sample images using some of the creative modes available. Below is an example video shot at full 1080p HD. Optical zoom is also available during video recording, an example of which can been seen on the ePHOTOzine Youtube page. There is also an example of the Super Slow Motion mode. The Canon IXUS 230 HS has an RRP of £229.99. Other compact digital cameras with a similar zoom range are the Panasonic Lumix DMC-FS37 with 8x optical zoom priced at £148.99, the Sony Cybershot DSC-WX10 also priced at £229.00, Casio Exilim EX-ZR10 priced at £200.00 and the Samsung PL200 priced at £94.79, all with 7x optical zoom. 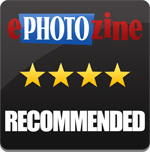 We reviewed the Canon IXUS 220 HS back in May 2011 and gave it 3.5 out of 5. The IXUS 230 HS has improved on the IXUS 220 HS with more optical zoom, 3 inch LCD screen and a close focus distance of just 1cm. Although in terms of handling the cameras are both pretty similar, the IXUS 230 takes a better picture, particularly with regards to noise performance. With these improvements, plus full HD recording, creative modes and the wide range of colours it comes in, we are happy to recommend the Canon IXUS 230 HS. 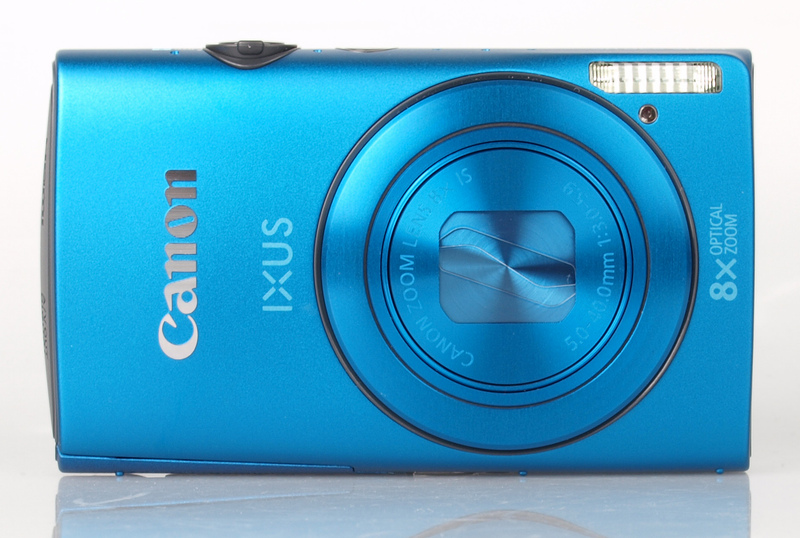 The Canon IXUS 230 HS has an excellent range of features and delivers great pictures.